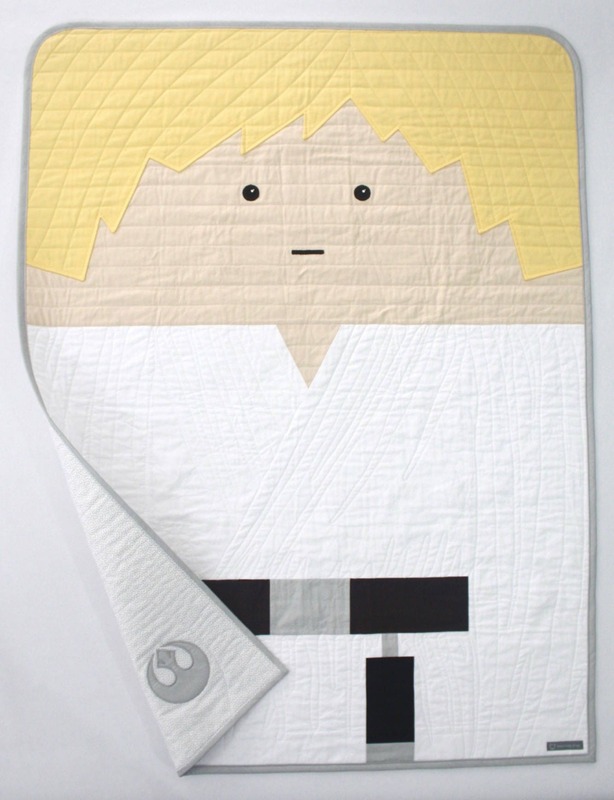 Star Wars baby quilt--Luke Skywalker baby quilt--Luke baby quilt-READY TO SHIP!! 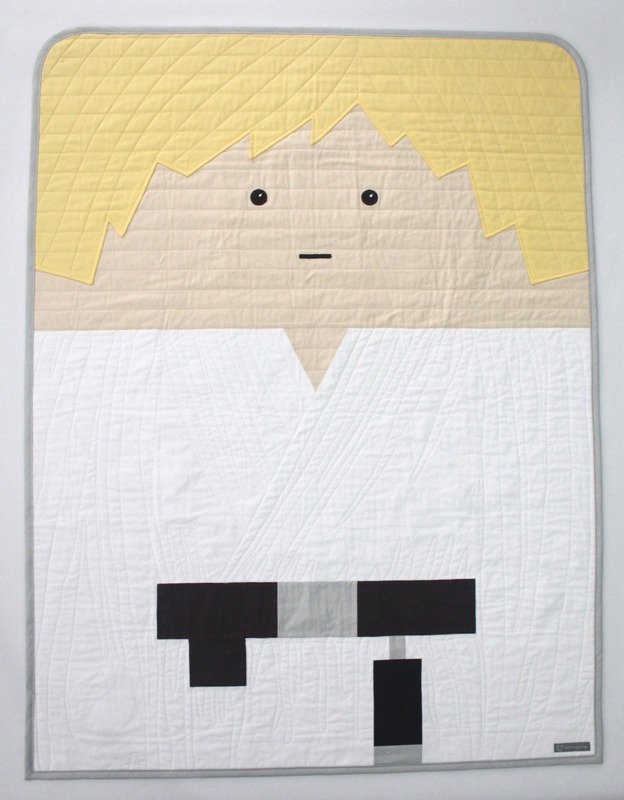 This Luke quilt has a little bit of patchwork, a little bit of appliqué, a little bit of textile paint for the star(war)s in his eyes, and a whole lot a sketch like quilting in addition to some standard line quilting. 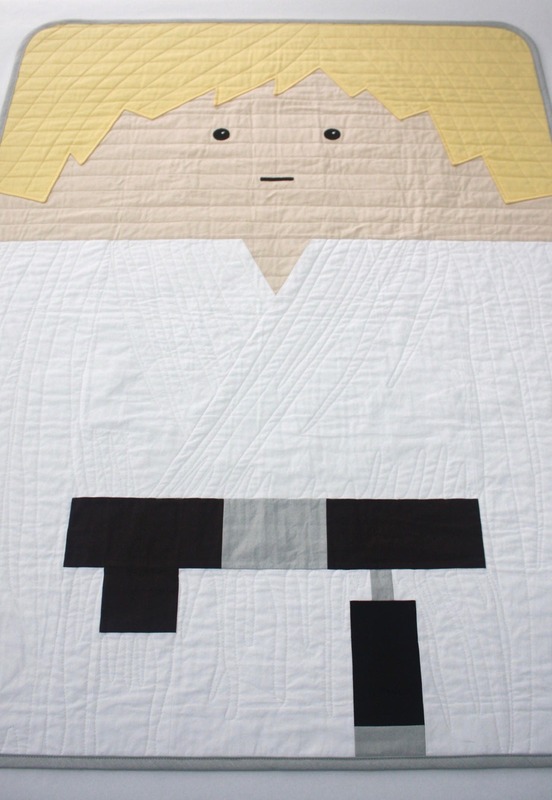 The backing is metallic silver dot on white with a solid metallic silver Rebel Alliance symbol appliqué on the lower left corner with solid metallic silver binding. 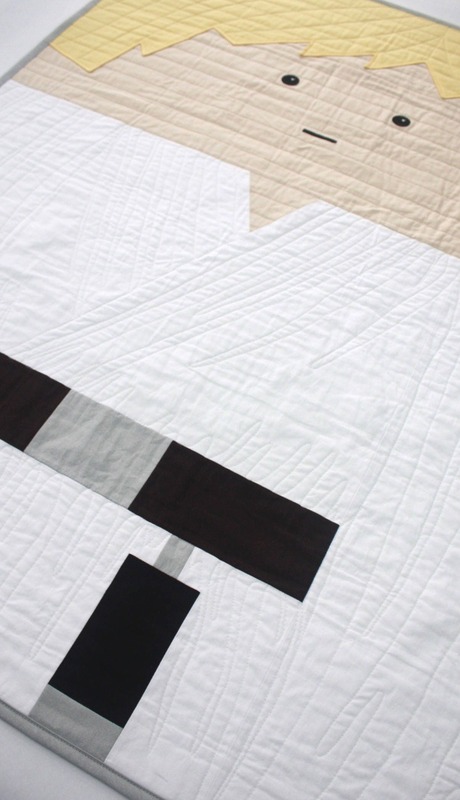 The quilting on each quilt will be unique. 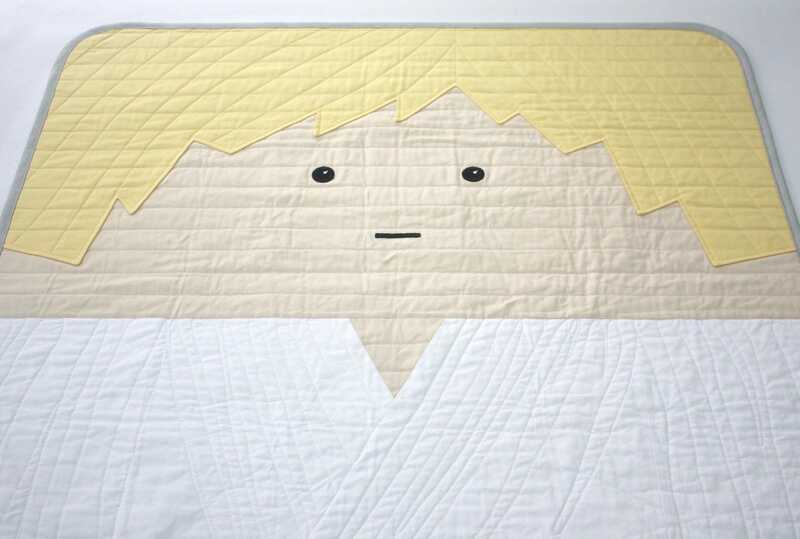 This quilt and quilt pattern is designed and created by me and is the property of BedHogShop. 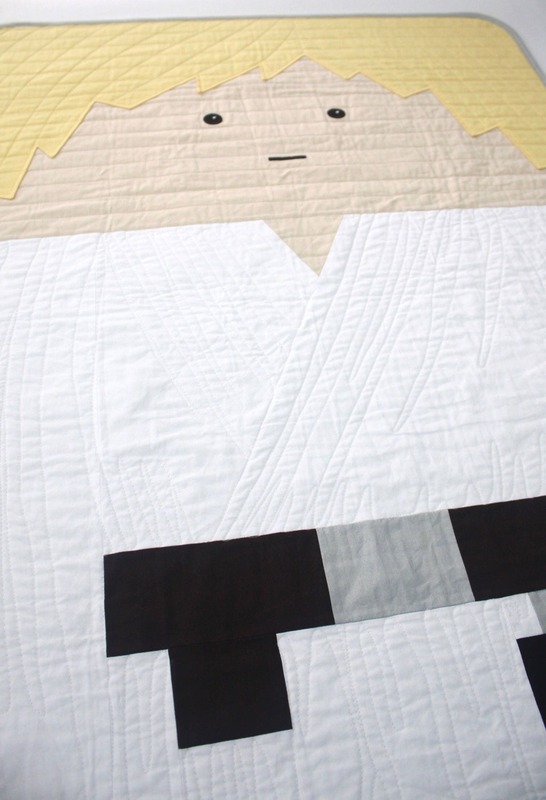 All materials are 100% cotton and pre washed in baby safe detergent. Low loft cotton batting. Cotton thread. Textile paint.